Amy and Maska are on the blog today. Check out their cute projects! Amy created this first card. 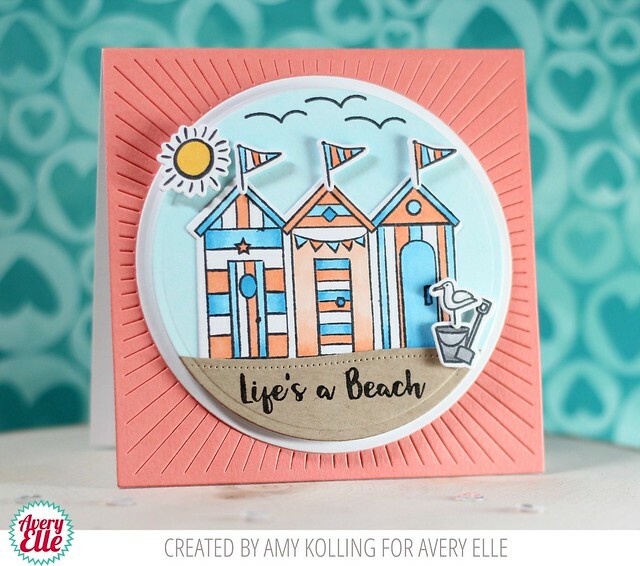 I love how our Burst die cut looks behind the beach huts from our Beside The Sea stamp set. This is too cute! Maska created this next page. The narwhals look so cute framing the photo. This page is terrific. I was just eyeing that top stamp. I LOVE the card you created from it. The layout you did is amazing!! I love the card and SB layout. Great colors, stamps, embellishments.